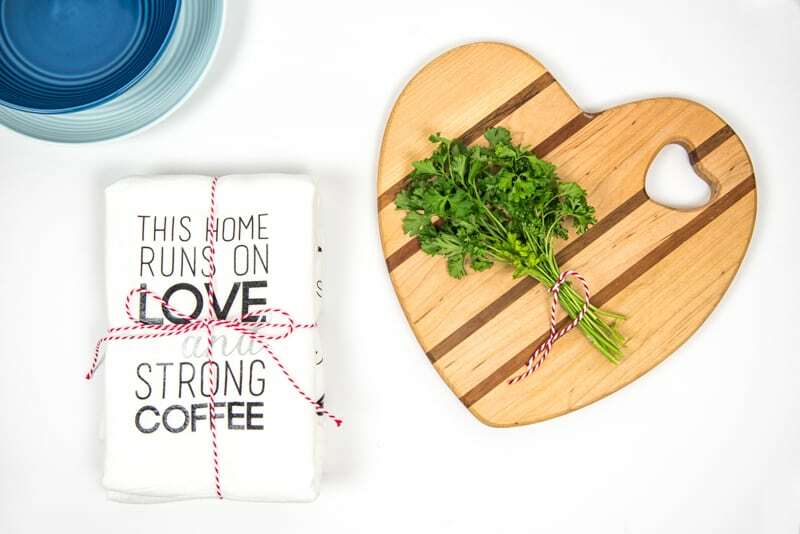 Give these kitchen towels as a handmade gift to the foodies in your life. There is something really exciting about putting together your home. Giving it personal touches that are a reflection of you and your family, finding furniture that makes a room feel cozy and gives your guests a place to relax and feel at home when they’re with you. It’s a fun process to go through, and even more fun when you can share it with others once the projects are completed. Since hospitality and cooking are such an important part of hosting family and friends, I wanted to make something decorative that went along with that theme. What I came up with were these hostess gift towels that I think will be perfect to display when people come over! Today I’m sharing these DIY kitchen towels over at my blog bestie Madison’s site! I was so surprised and excited when she asked me to write a post for her, and couldn’t wait to come up with the perfect project to share. 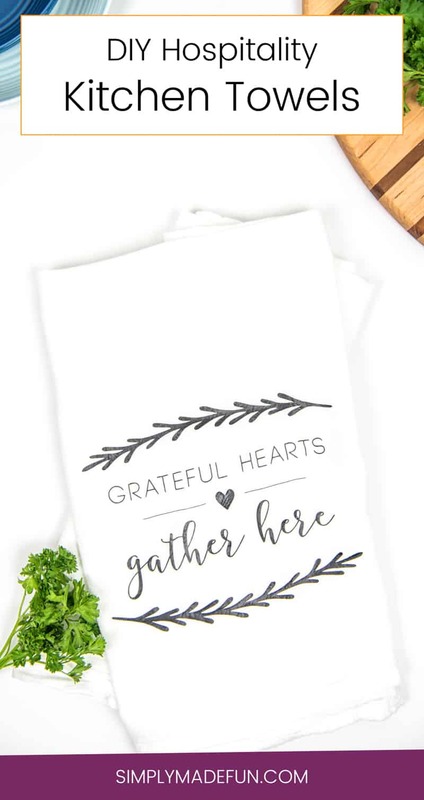 Madison shares tips on hospitality along with amazing recipes which were the inspiration for these tea towels. 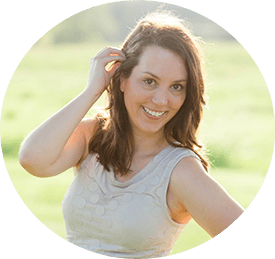 Please hop over to her blog to check out the craft as well as to download the free files! And to check out some recipes as well. Because they are truly delicious! Find the full post over at JoyfullyMad.com!